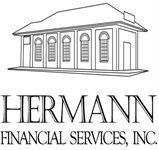 Our Services | Hermann Financial Services, Inc. The guiding principle of Hermann Financial Services, Inc., has always been responsible, personalized and impeccable service, built on trust. We have compiled an enviable reputation for helping the people who engage our services. The Hermann Financial Services team excels at identifying and implementing the finest strategies to help you achieve your personal and business objectives. We work as a coach with you to provide comprehensive, personalized wealth-management solutions. The broad spectrum of knowledge we offer includes asset protection, estate and trust planning, financial planning, insurance, investment advice, philanthropy, private banking and tax planning. After evaluating your goals and risk tolerance, we can create a personalized investment plan that is in harmony with your financial objectives. We believe that a long-term investment strategy offers the strongest potential for realizing your desired rate of return. Long-term investing minimizes risk and allows for the selection of a sound asset-allocation strategy.